Australian Vegans Journal is a one-of-a-kind publication. How is it different to other vegan magazines and journals? How we can collaborate to accelerate the progress of veganism. The ways we can be more effective, smarter and more strategic, in order to reach the hearts and minds of people. It's the thinking vegan's journal. It's the pioneering vegan's journal. Australian Vegans is also about support. Supporting vegan activists with tips and information about how to sustain long-term activism. Because we need you to stay in the game for the long haul, we want to give you the tools you need to thrive and achieve the result you dream of: a vegan world. We also know vegans like to eat all the things. The vegan things! So, there are also pages with recipes, restaurant reviews, travel reviews and other stuff that makes life pleasurable and fun. 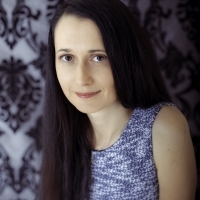 Contributors have been carefully hand-picked across Australia for their knowledge and expertise about the vegan lifestyle. We then partnered with a cool, young vegan designer who has created something that we are truly proud to present to you. Together we have created a journal that informs, inspires and supports vegans and those looking into adopting veganism. For every two copies sold, we will give one FREE copy to a government leader (Prime Minister, Minister for Health etc..), influential business leader, major media outlet, doctor's surgery, library or cafe etc. One of the MAJOR aims is to get printed copies into the hands of the mainstream non-vegan public. The more sponsorships and copies sold, the more money we will have to share this magazine with non-vegan Australia and beyond. This is a journal for vegans to read and enjoy but it is also for those in leadership positions to read and and be inspired to become ethical in their work and life too. We will be providing the digital copy of the journal FREE on ISSUU.com for everyone to read and share. In order to track the effectiveness of the content, we will pay ISSUU.com to collect detailed stats for us. The more money we have, the more frequently we can publish a volume, so if we go beyond our goal, we move to the next phase of our plan, which is to publish more often and market and distribute the magazine more widely. We would love to start publishing quarterly or even, monthly! We would love to distribute the journal to news agencies, supermarkets and other retailers across Australia. How far we can reach depends on the level of support we receive. We are totally committed to reaching the mainstream Australian public with this project, and with the right support, we can make it happen! Australian Vegans is 80+ pages of exclusive content. It is available in both print and digital formats. The print version uses sustainably sourced paper and adheres to fair trade practices. Would you like to be a launch issue sponsor? Businesses and individuals still have the opportunity to be part of the launch issue. On this page we have different levels of sponsorship. Be seen as a business who cares about the health and sustainability of the planet and its inhabitants. 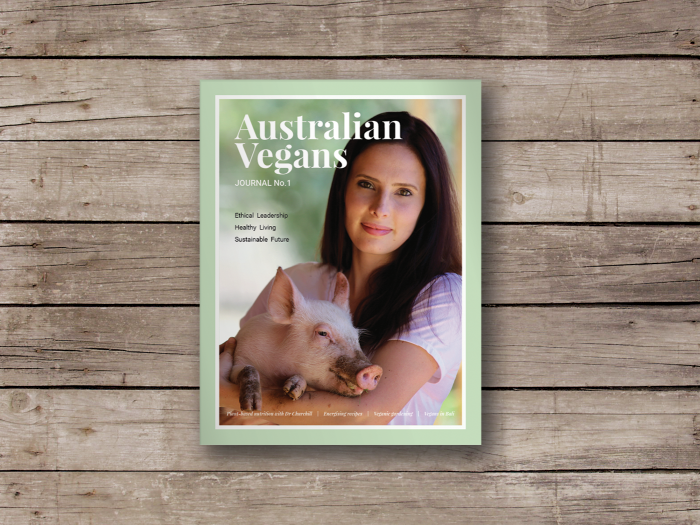 Being a sponsor of Australian Vegans Journal, you align yourself with a publication that is at the forefront of massive positive change in Australia and beyond. Absolutely everyone who chooses a perk on this page will be mentioned in the launch issue. If you have ever dreamed of being published in a magazine, here is your chance! $15 One print copy of Australian Vegans Journal Vol. 1 (The Launch Issue) posted to anywhere in Australia (add the overseas perk if posting outside Australia), plus the link to the digital version. $30 One print copy of Australian Vegans Journal Vol. 1 and one copy of the book Plant-Powered Women, plus the link to the digital version. ** Important note: We only accept sponsorship from ethical vegan businesses. We will refund money to any businesses we discover are not 100% vegan and driven by ethical veganism. We don't accept sponsorship from alcohol-related businesses or products. If you need further information, please email: [email protected] first before choosing this perk. If you like the sound of our campaign, please share it and grab a perk now! We also have a website, www.AustralianVegans.com.au, with links to this campaign page there too. We are launching a unique Australian vegan print and digital magazine. It's about ideas. Ethical leadership. How we can collaborate to accelerate the progress of veganism. One print copy of Australian Vegans Journal Vol. 1 (The Launch Issue) posted to anywhere in Australia (add the overseas perk if posting outside Australia), plus the link to the digital version. There is the option of buying multiple copies of the magazine using this perk button. One print copy of Australian Vegans Journal Vol. 1 and one copy of the book Plant-Powered Women, plus the link to the digital version. * $500 in offline donations included in total.